I would like to take this opportunity to thank “Perfect Firefighter Candidate” for the service its provided me in achieving my goal as a professional Firefighter. 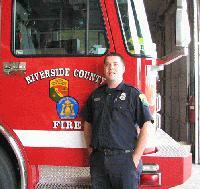 I was hired as a Firefighter/Paramedic with the American River Fire Protection District in Sacramento County. Becoming a member of the finest fire service organization in Northern California is a dream come true. I have been testing for over four years, taking classes and volunteering many hours, but in the long run its all been worth it. I plan on spending my career here at ARFD, its a large department with 15 fire stations offering a wide variety of opportunities. Thanks to your service I found out about tests all over the State, keep up the great work!! PFC, I would like to take a moment to tell anybody who may be thinking about subscribing, to go for it! Before “PFC” I missed several tests in my area and was mis-informed about some of the qualifications for the tests. I was getting nowhere fast. After a few friends told me about “PFC”, I joined. Then I couldn’t find enough time to take all of the tests that were being offered in the three districts I subscribed to. Almost every day I had at least 1 yellow card in the mail notifying me of the current openings with all the correct information needed to apply. I am now “proud to serve”, with the City of Sparks, and very thankful for all that “PFC” has done for me. I would like to express how grateful I am for your service. When I first became interested in a career as a firefighter I was calling city halls across California to find out when different municipalities and county fire agencies were going to test. This practice proved to be very expensive, not very effective and frustrating. After I took my first written exam for entry level firefighter I heard about Perfect Firefighter Candidate. I quickly called you and was excited to hear about the service you offered. Upon receiving PFC for Districts #1 and #3 my opportunities for a career in the fire service dramatically increased. With the assistance you provided I spent more time preparing for exams and less time trying to figure out which cities were testing. 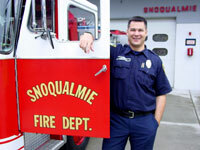 I moved to Washington to receive invaluable experience as a student firefighter with Thurston County Fire District #9. I would never have made the move to Washington without the information PFC provided, regarding the opportunities outside my local area. 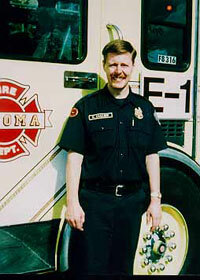 I continued to test for fire departments relying solely on the notices from PFC until I landed the world’s greatest career as a Firefighter/Engineer for Coos Bay, Oregon. Thank you very much for all of the helpful information. Perfect Firefighter is an essential tool for anyone seeking the fire service as a career. The service saves time, money and effort. Instead of sending letters to all the departments, you can concentrate on getting hired. Thats how I did it!! I would like to take this opportunity to thank Perfect Firefighter Candidate for all the service it has provided for me in my pursuit to achieve my goal as a Firefighter/Paramedic (Public Safety Officer) for Orem Department of Public Safety (Fire Division). I couldn’t have done it without the help of PFC. I was able to test all over with different Fire Departments with the widespread coverage that PFC provided. 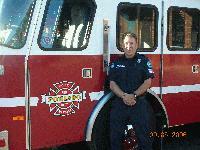 Having PFC gave me more opportunities with a variety of different Fire Departments to test for. I plan on spending my career with Orem Department of Public Safety with 3 Fire Stations and an opportunity to be cross-trained one day as a police officer. I’ve compared PFC to other Firefighter information services and PFC is by far the best. Don’t give up your goal in becoming a Firefighter. Good luck. Thanks PFC for all your help. Because of your prompt and accurate service, I was notified of a firefighter position at the Portland Airport Fire Department. I had been testing, studying, volunteering, taking classes, just about everything I could to prepare for a firefighting position. I was living out of state, so had I not been a subscriber to “Perfect Firefighter Candidate” I might have missed my chance and not been selected. 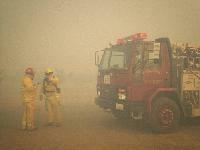 I’m now working for Oregon’s largest airfield fire department, supporting over 13 million passengers annually. Thank you for keeping me informed and for reminding me, “don’t give up”. I am writing to you, to thank you for your service of notifying subscribers about Firefighter job opportunities. Because of this service I found out about the Firefighter employment opportunity in Glendale, Arizona and I went through the testing process. I am proud to say that I was one of four to be hired. I thank you very much for your service. 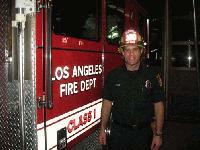 I am a Firefighter with Los Angeles County and am loving it. I still refer people to you. You guys really did help in my chance at a job with the fire department. This letter of thanks is for the service to which you have provided me for the last five years in my pursuit of a fire service career. The information enabled me to test in many different cities, counties, and states broadening my jobs horizons. Throughout the trails and tribulations of testing, there have been many high and low points, but now it is all worth it I am now employed by the City of Sparks, Nevada, where I plan to spend the rest of my career. In an area with tremendous growth and advancement opportunities. Thank you for the great service you provided me. Through the cards you sent me I was able to test with every Fire Department that had positions available in California, Oregon and Washington. 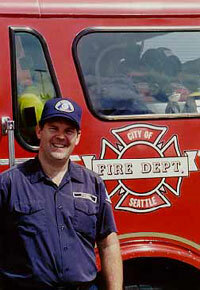 Thanks to your help I was able to get hired by the Seattle Fire Department. Every chance I get I refer people to you. Keep up the great work. 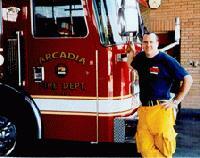 I heard about your service from a Battalion Chief through the South Bay Fire Academy which I attended. I preferred to work in southwest portion of the United States. Approximately two and one half years after subscribing to Perfect Firefighter, I tested, was hired, and currently employed by the Long Beach Fire Department. I feel that Perfect Firefighter Candidate is the most valuable source of information future Firefighters can have. I have been subscribing to your service for approximately four years…. four long years. I am writing to you today to thank you for the information and the help you have given me in my four year search for the right department and the best job in the world. After what seemed to be an exhaustive pursuit, I have finally been offered a Firefighter position with the Henderson Fire Department in the Las Vegas area. I couldn’t have done it without your help and I can’t thank you enough. Just remind everyone to keep trying and eventually it will pay off!! My sincere thanks for helping me achieve my goal as a career Firefighter. It has taken me close to three years of continuous testing, lots of close scores as well as those scores that I’d rather not discuss! By utilizing Perfect Firefighter Candidate, I was able to plan out my strategy and build my test taking capabilities by testing with every jurisdiction I could. Soon I found that my many nights of continuous and boring studying finally paid off. I wanted to take the time to thank you for the opportunities you have given me. If not for you, I would never have heard about the testing in Walla Walla. Thanks to your service I am now very happily employed as a Firefighter/EMT with the City of Walla Walla. Before subscribing to PFC, I sent out letters to Fire Depts. asking for information on when they would be testing. This practice was time consuming, expensive and a waste of time. I immediately called PFC after someone told me about your services. Dear PFC, I wanted to thank you for your service. Thanks to the timely information I received through your company, I was selected for a lateral Firefighter/Paramedic position with the City of Rialto. If I had not subscribed to PFC, I would not have heard about it, and wouldn’t have had the opportunity to apply. I have subscribed to PFC for a couple of years, and was surprised at the amount of departments testing that I would not have heard of otherwise. Your service has proved to be very valuable, and I always recommend it to people asking how to start their career, or move up to a bigger department. 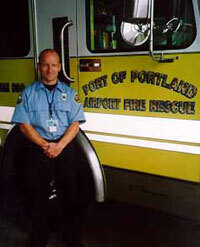 To PFC, After competing for a full-time city job for several years I landed a job with a dream Fire Department after I was informed about the position through PFC. Now I enjoy working in the city and living in a country setting on my days off. I just purchased six acres of land and plan to build a log home in the near future. This was all possible due to PFC being the foundation by getting the information I needed out to me in a timely manner. Perfect Firefighter Candidate is responsible for more Fire Service Careers than any other comparable service. I had a subscription for many years before finally getting the job that I had always dreamed of. 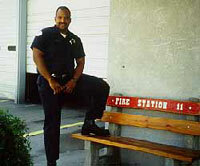 Perfect Firefighter is and always has been the best service that any aspiring Firefighter hopeful could utilize. I relied on Perfect Firefighter Candidate for virtually all of my test information for many years. You appear to have the entire market cornered and continually do a great job! I am writing you this letter to say THANK YOU for the wonderful service that you provide to people aspiring to enter the Fire Service. It took me three and a half years to secure the job that is the best in the whole world and thanks to you, your service made it by far much easier to know which departments were testing and when. For one of the three and a half years, I was unaware of your great service and I know I missed out on several employment possibilities that I just had no way of knowing existed. I would highly recommend to everyone that is aspiring to enter the Fire Service that they use your service. 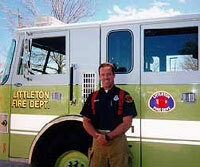 I am writing to inform you of my recent appointment with the Littleton Fire Department in the Denver-Metro area. I was a subscriber to your service for about a year and that was the “only” way I knew of upcoming tests! So instead of spending time and money on finding cities that were testing, I was able to concentrate on studying for the tests themselves! I don’t know how or why people can test without your service, but I highly recommend it to any and all, candidates out there! I’m proof that it works!! My name is Matthew Smotherman and I have been subscribing to P.F.C. for approximately four years. The information that you provide is always timely, accurate, and helpful. Because of this, I have been able to test for many Fire Departments, obtain helpful information and be well informed of the fire testing practices of many areas. Last year I applied for the position of Probationary Firefighter with the Bozeman, Montana Fire Department. Needless to say, I would not have even kwown of the testing, had I not been a member of your valued service. I went through much testing, many air miles, and lots of studying. It paid off. 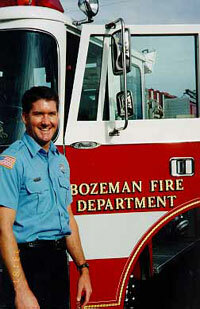 I was hired by the Bozeman Fire Department and started on the 14th of July, 1997. Please accept my sincere thanks for the essential part you played in my obtaining employment. I am indebted to you. Please continue the good work as you will undoubtedly help many others to obtain the employment they greatly desire. After many years and many tests I am happy to say I have been successful in my search for a career in the fire service. 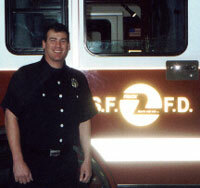 I am now working for The Novato Fire Protection District as a Firefighter/Paramedic. Your tutorial products and test notification services have been an incredible resource for me, and I simply could not have been successful without them. Thanks for all of your help, keep up the good work. Dear PFC, First, I would like to let you know that I have been a loyal customer for years now and I intend to continue with your service for a long time to come. Your Internet service is incredible. About this time last year, I received a card in the mail with a list of jobs on it, one of which I was particularly interested in. It was for a student/resident firefighter position in Vail, CO. I figured that not very many people would be interested in it because it was non-paid. I received all of the information about the program and I went through the testing process with only seven other hopefuls. I was placed on a very short list that was good for one year. Needless to say, my number came up on the list and I will be entering the program on March 9, 1998. This is an excellent opportunity for me and couldn’t have come at a better time. It is a volunteer position but the program is a very successful one. They have placed about 80% of the volunteers in paid departments all over the US. Dear Pam, I would like to thank you for providing me with the Perfect Firefighter Candidate system. 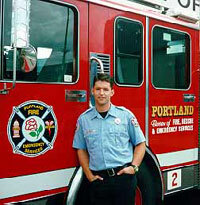 I’m happy to inform you that your service recently aided me in attaining my goal of becoming a firefighter I was successful in the Portland Fire Bureau’s 1996 open hiring process. Myself and eleven other finalists were sworn in on Sept. 19, 1996 as Portland’s first open enrollment recruit class since 1989. Just recently we completed a very rigorous eight month training program and received our station assignments. While Portland’s hiring announcement was well publicized, my subscription to Perfect Firefighter informed me of countless other much less publicized hirings. Participating in over ten such recruitment's throughout the northwest gave me the experience I needed to succeed. As competition grows for jobs in the fire service, it is important for any prospective firefighter to use every resource possible. Knowing when and where the tests are is half the battle. 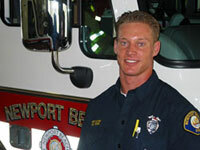 Perfect Firefighter Candidate provides the most current and comprehensive hiring information available. I highly recommend the use of your system to any current or prospective subscribers, it’s a great resource. Thanks again, Pam! I would like to thank you for the great service you provide. I have been subscribing to your service for over a year now and it has proved to be a key resource in my pursuit of a fire career. The daily updates and information available on your web-site proved to be invaluable. 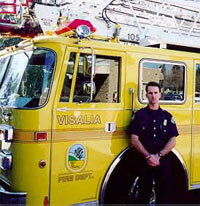 Recently I was offered and accepted a firefighter position with Visalia Fire Dept. located in California's San Joaquin Valley. I don't think I could be any happier. I have finally begun my full-time career in the fire service, with a great department. I would just like to thank you again, your service was instrumental in my being hired. I am writing to thank you for the service you provide. I have been using your service for several years now. I relied heavily on Perfect Firefighter to keep me updated on current tests. I would check my mailbox daily anticipating your cards, I only wish I could have used your Internet service to get the daily updates. 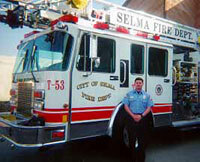 January this year I accepted a Firefighter/Paramedic position with the City of Selma. This has been an excellent opportunity and I am glad to have started my career. Thanks again for the excellent service you provide. I want to take this time and thank you for the service you provided me. It has been about two years now that I have been using your service to find the best career around. Your service proved to be a valuable tool in many respects, one of the best tools you have is the internet, the web-site gives daily updates and information needed to find and take tests. I recently was offered and accepted a firefighter position with the Ann Arbor City Fire Department in Southeast Michigan, Wolverine territory. It may have taken some time and many tests, but I hung in there and finally landed the full-time career I have wanted for years. By taking this job it meant I had to move from Vancouver, WA, but it is well worth it. I would like to thank you again for the help provided, your service was a big help. 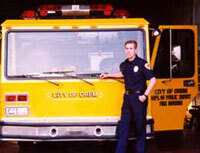 I was recently hired as a Firefighter/Paramedic in April 1999 with Woodside Fire Protection District in San Mateo County. It took a few years of education, working as a reserve firefighter and testing, but with a little patience it all paid off. Subscribing to your Internet site made testing easy. I remember checking my email daily to see if any California fire departments were looking for firefighter/paramedics. I ended up taking about 12-15 tests and was very lucky to have been chosen by Woodside Fire. Thank you for your services. 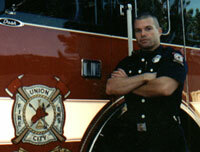 The daily up-dates on your web site made testing enjoyable and helped me obtain my career goal of becoming a firefighter. 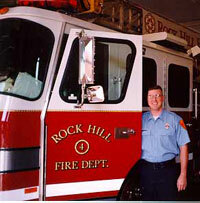 For the past five months I have begun a wonderful new career at the Rock Hill Fire Department and owe my success to your service. During the time I subscribed to the website I was able to focus my efforts at departments where I would stand a better chance to be hired on, especially since I had no previous experience. The quick updates allowed me to apply early and prepare for the hiring process. I can’t thank you enough for helping me get my foot in the door and hired so quickly. Sincerely, Chris Tschoche, Firefighter I, Rock Hill Fire Dept. I am writing to thank you for helping me to reach my life long dream of becoming a firefighter. 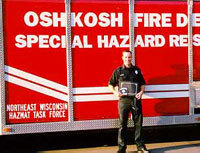 The information from your website helped me to secure a position with the Oshkosh, Wisconsin Fire Department. By subscribing to your service, I was able to get the updated information that helped me to focus my efforts on a department that was looking for my specific experience and skills, rather than the typical “shotgun approach” of applying everywhere. Since I lived in Southern California, prior to the move here, I was focusing my efforts in California. Although I was doing well in my testing efforts, I shared the frustration of many fellow candidates at the lengthy and complicated hiring practices of some departments in the area. Although I did have some hoops to jump through here, I strongly encourage candidates to consider other communities besides near where they currently live. Since your website has frequently updated national listing, folks can get the scoop early, sometimes before the openings appear in the newspaper. Thanks again for helping me to succeed. 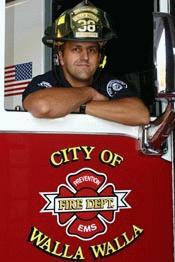 I am writing this letter to thank you for all of your assistance over the last several years and to inform you that I have recently been hired as a Firefighter/Paramedic by San Diego Federal Fire Department. Your cards were instrumental in keeping me informed of all of the tests occurring in the area. With your assistance my life long dream of becoming a career firefighter has come true. It took me nearly 10 years of testing to accomplish this goal. I am now enjoying the fire service career that I have always wanted, but had I not been persistent, this opportunity might have passed me by. Thank you again for your assistance. Your service is the best out there. Thanks for all the help! 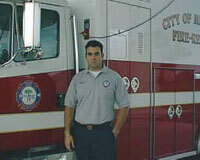 My name is Lance Carsno, and I was looking for a job in the fire service. Perfect Firefighter helped me by doing all the groundwork so I could concentrate on other things. 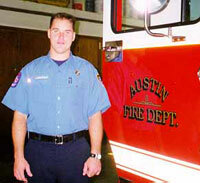 I am now currently employed with the Austin Fire Department. I recommend to anyone looking for a job to take the full benefit of what these guys offer. Perfect Firefighter helps. Thanks Again. We would like to offer our sincere thanks for helping us achieve our goal as career firefighters. Over the past two years, we have been “On-line” getting emails from Perfect Firefighter Candidate of every fire test throughout the country. This enabled both of us to plan ahead and thank every test possible. Even though we met for the very first time in our academy, our stories run parallel. By taking advantage of every test, we noticed an incredible increase in our scores. We also became more comfortable with interviews and landed the job we wanted most! We found it’s not enough to study for “The Test”, but rather apply the knowledge every chance you get! Once again, thank you for keeping us informed of all those fire tests! See you out on the line. It has been several months now since San Bernardino County Fire Department hired me and I still can not believe I am here. It took a lot of dedication and education to finally achieve my dream. I worked for many years as a Paid Call Firefighter and a Paramedic always hoping to combine both of the jobs I love doing. I tested for almost ten years the last two years very diligently. I tested for departments from Seattle to San Diego. I used Perfect Firefighter Candidate off and on for all of those years having received information by mail and by email. I found that the email worked that best. It has the advantage of the earliest possible notification allowing me to meet the short application deadlines that some departments require. It also gave me the advantage of nation wide coverage, which allowed me to apply and test for a large cross section of departments. It may seem cliché but I am very thankful for the opportunity to do the work that I have strived to do for a long time. Ironically I met my career goal in the same county where I first started working to become a Firefighter/Paramedic. Thanks for the help. Thank you very much for your support throughout my pursuit of a career in the fire service. The fire service is a very competitive field to break into, and knowing where and when tests are is a key element to obtaining a job. I used your notification service to test with over twenty-five departments all over the western United States. Your timeliness was always appreciated. The notices always gave me ample time to contact the departments and get testing material before the test date. Without your help, finding all the departments that are testing and when would be nearly impossible. 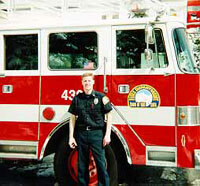 In December of 1997 I was offered a job with the Colorado Springs Fire Department. The testing process began in September of 1996 in which more than 300 individuals participated. The experience I gained from so many other tests gave me an edge over the majority of applicants and landed me in the top 20. The job I received from the Colorado Springs Fire Department is more than I could have ever asked for. My probationary year is coming to a close in May and I am looking forward to a very long and rewarding career in the Springs. I would like to offer my appreciation and thanks to you and your staff on the offering of by far the best service for fire-related career postings. Having always been one to look for job postings wherever they could be found, I decided to respond to one of your ads that appeared in one of the trade journals when I began to seriously search for an advancement position. At the same time, so as not to miss anything, I also subscribed to a couple of your “competitors”. It was not long before I discovered that none of these services could even come close to the quality of “product” that the Perfect Firefighter Candidate has to offer. Additionally, I would like to thank you for assisting me in my endeavor to advance my firefighting career. 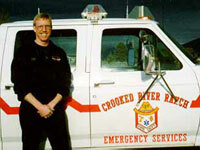 I am now serving as Chief of the Crooked River Ranch Rural Fire Protection District in Central Oregon. Without a doubt, the services delivered by the Perfect Firefighter Candidate made that search much easier and more efficient then could ever be accomplished on ones own. Whenever I discuss getting into or getting ahead in the fire service, I never fail to mention and heartily endorse the Perfect Firefighter Candidate. Sincerely, Patrick Reitz, Chief Crooked River Ranch R.F.P.D. I wanted to let all that use or are thinking of using your service that it truly is a valuable resource. With all the hard work and sacrifice that attaining a professional firefighter career requires, the last thing you need to be doing is searching for hiring departments. PFC allows you time to prepare for the test by not wasting time searching for them. Without this service you must look up department address, send in interest cards for supposedly upcoming tests, and increase your phone bill trying to get the latest information. PFC takes care of all of this for a very reasonable cost. I have used both the postcards and the Internet. The cards I received arrived well in advance of upcoming tests and were always accurate. The Internet was the best. With just a few clicks’s everything you needed for any state was available. The site also features a bulletin board with helpful information. I know what it’s like to be out there testing. I did it for six years. I know the feeling of finally attaining your dream. I honestly believe that using this service gave me an edge and ultimately helped me find the career I worked so hard to achieve. I wanted to take the time to thank PFC for the valuable, incomparable service you provide. Through your web pages, I was notified of all the tests for California fire departments. PFC was the tool that helped me reach my career goal. I ordered books and CD-ROMs on oral interview techniques to “Essentials” notes. These books and CD-ROMs helped me to place 3rd overall on the written test and ace my oral interview. PFC made my dream a reality. 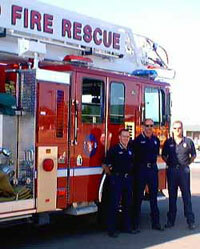 I was hired by the greatest fire department in Southern California, Palm Springs Fire Department. I am writing to personally thank you for the service you provide for those seeking a position in fire service. I have pursued the fire service since I was 15 years old, obtaining an Associates Degree in Fire Protection Technology, attending the Fire Academy in New York State and obtaining certification as an EMT. However, that was only part of the task to secure a position as a firefighter. Without FIRECAREERS.COM, I would not have known where tests would be given, how to obtain an application, pre-testing requirements, and a host of additional information. Also, the testing information was updated daily, encouraging me to that there were jobs available throughout the country within the fire service. 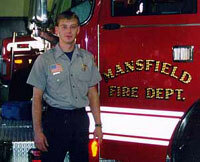 I have accepted a position with the Mansfield, OH, Fire Department as a Firefighter/EMT – the second position for which I applied. 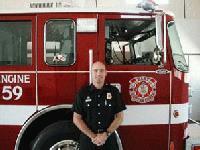 I have recently completed Ohio’s Fire Academy, EMT, and Fire Inspector training. It is a great career! Thank you for providing the information needed for me to secure this position! 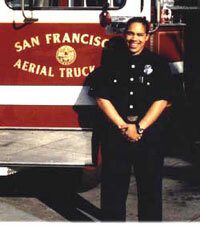 My name is Mark Hardeman and I was recently accepted into the San Francisco Fire Department. I received my Fire Science Degree in 1979, (that’s not a misprint.) being a forth generation San Franciscan I never tested outside of the city until 1995. Subscribing to Perfect Firefighter Candidate made testing up and down California a breeze. Not to say it was easy to get hired, but it made it convenient to find out where and when the testing was along with other useful information. I recommend anyone who wants to become a firefighter to subscribe to P.F.C. It will save them hours of telephone calls and missed job opportunities. It finally came full circle to being hired in the department where I set out to be in the first place. Too bad I was 40 years old by the time I was hired. Where was P.F.C. when I was 20? I sincerely want to thank P.F.C. for all your help. I hope you continue to help other candidates like myself for years to come. Thanks to the service you provide to those interested in pursuing a career as a Firefighter, Christen Heinrich is now employed as a Firefighter/Paramedic with the city of Oakland, California. 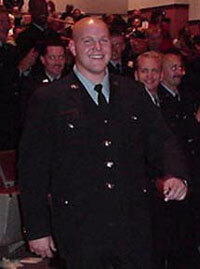 Christen graduated from the academy in the first class of firefighters to include paramedics, on December 17, 1999 and has successfully completed the first 6 months of his 12-month probation. Since he resided in the Los Angeles area, had it not been for your help, he would have been unaware of the employment possibilities outside the Southern California area. Christen, his wife Elisa and son Ethan, all now happily reside in their new home in Northern California. We are very proud of his hard work and persistence in obtaining his career goals, as well as the sacrifice involved on the part of his family. We will continue to check the site for the other interesting information we have come to enjoy. Here I am living my dream. It all started 1 year ago after I graduated from the fire academy…..the endless search to find the perfect job. Alot of my fellow recruits were searching for jobs the old fashioned way. Furthermore, I didn’t see alot of them preparing for the grueling tests they would encounter in the future. I wanted an edge, I wanted to make myself shine and present myself as the perfect firefighter candidate. I subscribed to FireCareers.com and learned a wealth of information I could put to use. I was amazed to see the long and well updated list of departments they were hiring…that made the search alot easier for me. I also utilized their message board as a source of encouragement and motivation….there I found hundreds of other firefighters looking to get that silver badge. I learned the tools of the trade, got excellent advice on sharpening my oral interview skills, and a wealth of other information. I highly recommend to anyone that REALLY wants this job, to subscribe to this fantastic service….it was truly heaven sent and provided me with “the edge” in getting what I wanted. I love the department I am working for and can only see a bright future ahead of me. Good luck to those out there wanting that badge…..with a little bit of perseverance and hard work, you too will get that badge pinned on your chest…and what a moment that will be ! After six years of working as a paid-on-call firefighter, I wanted to take the next step and begin a career in the fire service. With persistence, patience, and helpful information from Perfect Firefighter Candidate I took that step, and I am excited to tell you that I have been hired by the Dallas Fire Department. The daily updates and detailed information made the entire process from application to interview a lot less stressful. Thank you Perfect Firefighter Candidate! 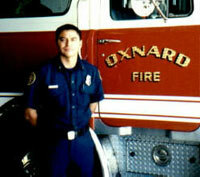 My lifelong dream of becoming a Firefighter with the City of Oxnard is now a reality. The mailers and information provided to me from your website has allowed me to stay on top of the latest testing of fire departments around the country. Study guides and materials were always in stock when needed – and believe me, I needed it. I am grateful to have found an organization with guidance down the correct path to prepare for the challenging career of Firefighter. THANK YOU to the staff of Perfect Firefighter Candidate for helping me achieve my goal of becoming the perfect candidate for Oxnard Fire Department!! Ever since late 1992, I have searched for fire jobs so I could do the job that I love the most. I never realized how hard it was going to be. Well, I am here to tell you that once I signed up with Firecareers.com, I could not believe how many opportunities there were. Everyday I would get a new posting to a new job. In December of 1999, I received my call to duty. 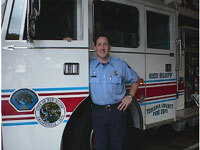 Montgomery County Divisions of Fire/Rescue Services offered me a job. Please trust a fellow firefighter like myself when I tell you that this service gave me more chances that I could shake a stick at!! I hope my testimonial will boost those who have sagging hopes for attaining this career. I rode the testing “circuit” for more than six years. I was working on my college education, working a part-time position as a Reserve Firefighter and getting all the certs that I could. I got good scores on my exams and orals but for some reason I just could not get a job offer. I continued to practice my oral board skills and the practice exams. I even got a tutor for math. It helped and my scores went up but still I wasn’t hired. At one point I realized I couldn’t test forever. I even thought about giving up. Living in the San Francisco Bay Area I was testing against thousands (12,000 in Oakland one year and usually 3000 to 8000 in other Bay Area cities). The numbers were staggering. I began to wonder if I was even a good candidate. But the fact remained. I HAD to be a firefighter! The short story is that after 56 exams, it happened. I was picked up full-time this year at age 33. My wife Staci was a key. All the training and miles traveled would have been worthless without her support and I don’t think I would have continued. If I’ve achieved any success, 99% of it belongs to her. The other 1% is probably due to my stubbornness. I don’t claim to have the recipe for success but even through the rough times when I didn’t think I could continue, I persevered. I’m sure most of PFC subscribers won’t have to wait as long as I did, but it’s nice to know a regular guy can still make it. I hope this gives hope to the tens of thousands out there that want this career. It was worth it! Thank you PFC for the good service you have provided! I got the postcards for years and then discovered the online service. With a click of the button I was on my way and many of the jobs I tested for I found through PFC. It’s the best service there is! Test on! 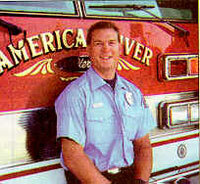 Dave Carr-Red Bluff Fire Dept. 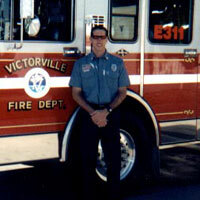 My name is Regis Nebel and I am 24 years old, in fact I was hired 11 days after my 24th birthday and entered into the fire service with the Victorville Fire Department. 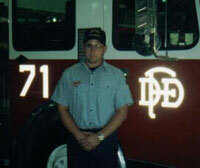 I obtained my Associate degree in Fire Technology in the Fall of 2000. I dedicated my life to becoming a member of the best career choice in the world and thank God each and every day for this achievement. I subscribed to P.F.C. because I heard that it was a good source to get out and test, and it paid off. I tested with city after city, each time finding ways I could better my testing skills in the written, oral boards, etc. I feel that with P.F.C. it took a little stress off of me, due to the fact that instead of worrying about finding cities to test for, all I had to do was log on and pick. I truly thank the hard work and effort put forward from the personnel at Perfect Firefighter Candidate. I also found helpful books that could be obtained. I STRONGLY encourage each person with the heart and desire to become a firefighter to join the P.F.C. family and grasp your goals and dreams. I would like to thank everyone at Perfect Firefighter Candidate for allowing me to follow my dreams. You have helped me in my search for cities that are in need of Firefighters. FireCareers.com has opened many doors for me and has helped me deal with any rejection that came my way. I have learned that becoming a firefighter is not a job that can be handed down with no problems or with no tests. I have been working with the City of Margate Fire Rescue for about a year now and I can honestly say that I love my job. I love getting up from bed in the morning and going to work. I take pride in my work and do the best I can do when I get called out. I stand tall and proud of my City and of my fellow Firefighters. I have given your web site to many of my friends who are looking for a job and two of them have gotten hired by different fire departments. Your web site really helps those Firefighters who are starting or just want to change departments. I would like to thank the great people at Perfect Firefighter Candidate for providing the service I needed to land the Perfect Firefighter Job. In June of 2001, I was hired on with the Union City Fire Department and I cannot begin to tell you how stoked I am to be with this department. 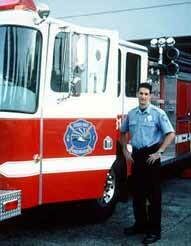 When I decided to leave the Air Force Fire Service in search of a city fire department job, FireCareers.com was a great asset in my quest for the perfect fire department for me. I was once told by a seasoned firefighter to take as many tests and interviews as I could, so when it came time to land the job that I really wanted I would be prepared. 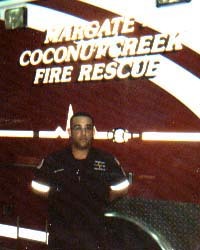 FireCareers.com helped me do just that, they kept me informed via email on departments that were going to be hiring. I went through the testing process with many different departments to prepare myself for this highly competitive career field. I have a lot of people to thank who helped me get where I am today. My family and friends who stuck by me and kept me focused, the US Air Force for training and educating me, the Union City Fire Department for hiring me and giving me the opportunity to be a part of their family, and FireCareers.com for providing me with the resources I needed to land the Perfect Fire Job! Thanks again and good luck to everyone. I would like to offer my thanks to you and your staff on the offering of the best service for fire-related career postings. Always looking for job postings wherever they could be found, I elected to respond to one of your ads that appeared in one of the trade magazines when I began to seriously search for a chief officer position. I would like to thank you for assisting me in my endeavor to advance my fire service career as a chief officer. 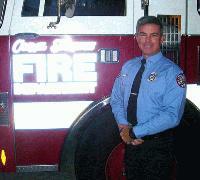 I am now serving as Fire Chief of the Central Calaveras Fire & Rescue Protection District Mountain Ranch, California. Without a doubt, the services delivered by the Perfect Firefighter Candidate made that search much easier and more efficient than could ever be accomplished on my own. Whenever I discuss getting ahead in the fire service, I never fail to mention and fully endorse the Perfect Firefighter Candidate service. I want to thank you for the invaluable service you provided to me and my family in supplying me with the necessary information on who was testing for the position of firefighter. This information enabled me to realize my dream much sooner then would have been possible going with the conventional route (Interest cards, Phone calls, and endless wondering if the agency was ever going to test for a firefighter position). The large amount of time and effort that it takes to become a firefighter were greatly reduced with the information you provide on your easy to use web site. I took 22 tests in two years, most from information off of your website. The service you provided definitely increased my chances, by giving me the information of more opportunities than I would have known about otherwise. I would like to take this opportunity to say thanks to the staff at Perfect Firefighter Candidate for offering an outstanding service. Your service offers the most comprehensive listing of positions within the fire service. It’s easy to see exactly what the qualifications are, application dates, etc. I’ve recommended Perfect Firefighter Candidate several times to individuals wanting to pursue a career in the fire service. 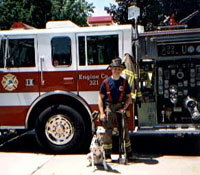 I was hired as a firefighter with Loveland Fire and Rescue (Colorado) in March 2001, and was just recently promoted to the rank of Engineer/Firefighter. I’m not sure if all of the past, present, and future PFC subscribers have a realistic grasp on all of the hard work that you do on behalf of your subscribers. For a monthly cost roughly equivalent to 2 visits to Starbucks, you all do the footwork and information gathering previously done by overworked firefighter hopefuls. I know that I couldn’t have gotten where I am today without your help. I have just finished my probationary year at Appleton Fire Department in Wisconsin, and so far my fire service career is everything I had hoped and more. Often, at work, the fifth seat on my engine is occupied by an “intern” from the local tech. School fire science program. I always introduce myself and immediately hand them a gum wrapper with www.firecareers.com scrawled on it. Anyone who is serious about obtaining a career in this highly competitive field had better drop what they’re doing and go to PFC for the winning edge. Thanks to all of you and your hard work. Your assistance won’t be forgotten. I would like to take this moment to thank you and your wonderful staff. 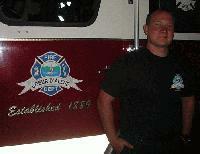 I recently completed my probationary period as a Firefighter/EMT at T. F. Green Airport Fire Department in Rhode Island. I just couldn’t be happier. I had signed up for your services approximately 2 years ago and have been taking entrance exams, interviews, etc., since then. I had also attained National Certification in Firefighter I/II and also earned by EMT-Basic certification within the same time frame. Most of my study material was purchased from your company as you, quite frankly, had the best prices around and your staff is always a pleasure to deal with. Your company, without a doubt, was what gave me the edge over other candidates. 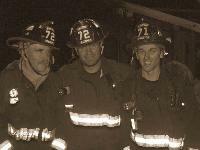 The Perfect Firefighter Candidate saved me a tremendous amount of time, effort and expense. I would not have the position I now hold if it were not for you. Two of the credentials required to apply for my position were Firefighter I/II certification and EMT-B certification. All of the reading and research that I had done, through reference material purchased through you, explained the importance of earning the required credentials, and more if possible, and gaining as much experience as possible. Although it still takes a considerable amount of hard work and dedication to earn the credentials necessary and to go to interview after interview, the services your company provides to aspiring firefighters and fire officers is a tremendous asset and should be considered the wining edge that is needed to get the job. I am constantly referring friends and fellow firefighters to you and will continue to purchase needed reference and training material from you in the future. Just wanted to thank you for helping me achieve my goal of becoming a Firefighter/Paramedic. Without your service I would have been scrambling to find who’s testing and when. Having this info lead me to Hermosa Beach where I have been hired and am loving every minute. My name is Ronnie King and I want to start off by saying that your web site is the best place for anyone looking for a career in the Fire Service. 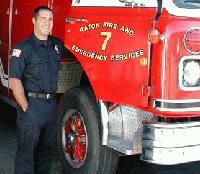 I was recently employed with a Fire Department in the state of Florida for 5 1/2 years. Through my time as an Engineer/EMT I had become unhappy in the department and needed a change into a department that was a lot more progressive. With my recent marriage in April of 2001, my wife and I had always wanted to live in the state of Tennessee around the Nashville area. While attending a Fire Officer course I had mentioned my desire to look for a job in Tennessee. One of my fellow peers pointed me in the direction of Firecareers.com and informed me that they have many fire service jobs throughout the United States on the web site and that it would be a good place to look for a job. Well, needless to say he was right. 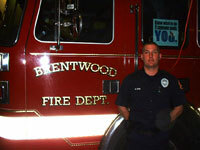 I am currently employed at the City of Brentwood Fire Department which is about 10 minutes south on Nashville, Tennessee. Thanks to everyone at FireCareers.com I have been able to make my wife and my dreams come true of living in Tennessee, while also allowing me the opportunity to work in a very progressive department. I am looking forward to spending the rest of my career here. Once again thank you. This letter of thanks is for the service to which you have provided me for the last two years in my pursuit of a fire service career. The information enabled me to test in many different cities, counties, and states broadening my jobs horizons from coast to coast. 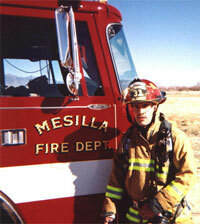 I just recently took this firefighter position from over 2000 miles from home in Pennsylvania to New Mexico. I just love it here out west working for White Sands Missile Range Federal Fire Dept., and the town of Mesilla Fire Dept. 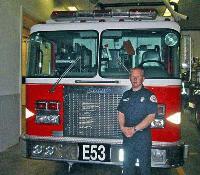 as a Fire Capt., where I am also a National Registered Department of Defense Firefighter I, II, EMT-I and Haz-Mat Tech. I plan to spend the rest of my career in this area where there is tremendous growth and advancement opportunities. Again, thanks for the invaluable service to which you have provided and sincerely hope that any person trying to get a job will just hang in there. I want to send out a big thanks to the PFC staff for providing a superb service. Your staff provided me timely information that has given me the ability to realize my dreams. Your site helped me land the best job there is at the best department in Western Washington. I was hired by the Bellingham Fire Department nearly a year ago. Every morning and evening I would look forward to checking my email to see if you had sent any test information. Your business saved me hours of phone calls and reading newspapers. These extra hours gained were turned into extra hours of studying, which is a must in today's competitive job market. If you are looking to become a firefighter, the PFC is a MUST. You need every advantage you can get today. So if you are serious and you want to get hired ASAP then study, study, study, and subscribe to this service. Persistence is a must and all the hard work is well worth the prize at the end of the journey. Thank you Perfect Firefighter Candidate for being an excellent resource for testing information. Everybody who I knew who was trying to get a job in the Fire Service had a Perfect Firefighter Candidate subscription and we would keep in touch on a weekly basis and make the test taking process a group thing. I have definitely benefited from using your service and I encourage all of the people who come to the station who want to become Firefighters to get involved with Perfect F.F. I encourage all of you out there trying to get a job in the fire service to network and stay sharp for the written tests and on your skills. 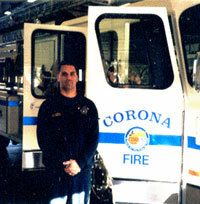 This picture is of me in January of 2002, when I started full time as a Firefighter for the Corona Fire Department. I am writing you today to thank you for helping me obtain a position in the fire service. Your company made it a lot easier to find positions available; which left more time to fill out applications and prepare for the many tests I have taken. In my search for employment, I have used other web sites but found yours to be the best. No other company listed as many job openings or kept their list updated as much as yours. With the help of your company, and a lot of determination, I currently work as a Paramedic/Firefighter for the City of Birmingham in Michigan. I would like to extend my appreciation once again and thank you for helping me achieve my goal in becoming a professional firefighter. I just want everyone out there to see that the Perfect Firefighter Candidate really works! Thanks to all the current and up-to-date information this service provides, I was able to attain my goal of becoming a firefighter. This company offers the "test-ee" so many great things you might never be able to come across…from complete and precise lists of the many fire agencies that are testing, to patch trading, and the infamous "bulletin board". The bulletin board is a good resource to count on to chat with people who know about the different fire department happenings where you may not. You may also pick up a few tips or so regarding any phase of the testing process. Regardless, the Perfect Firefighter Candidate provides you with the wealth of information you need to get the badge! It worked for me and I just want to thank you. I couldn't be any happier. I recommend that you subscribe to FireCareers.com! It has all the information you need to make it to the big time! My name is Rick Drumright. I have been a subscriber of your service for about three years. This service is a must have for anyone serious about a career in the fire service. Perfect firefighter is always up to date, and the best source for testing information. The price is great too! 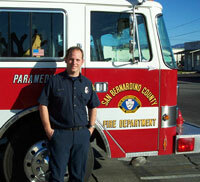 I am now a firefighter/paramedic with San Bernardino Co. Fire Dept. I would recommend this to anyone!! Thanks for all your help PFC!!! I had been using this service for almost 2 years and my dreams finally came to reality in December of 2002. I had work for several different fire departments during my 6 years in the fire service, including a Department of Defense facility, the US Marine Corps where I got my start, and one very small combination volunteer/paid department here in San Antonio, Texas. 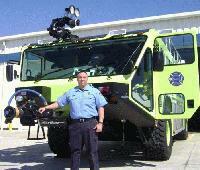 I was finally offered my dream job this year with The City of New Braunfels Fire Department. I had been searching so long from Oregon, California, Oklahoma, Colorado, and eventually coming home to Texas. This service that you provide is priceless. The daily updates that you gave to me over the past 2 years had given me the opportunity to finally get my dream job. I can’t count the number of times I have praised this service to friends of mine. It’s AWESOME. I don’t think I would have been given the opportunities I’ve had if I didn’t use this service. The advice I received on the bulletin boards help me prepare for interview boards, resumes, and application processes in which I had been doing poorly before I started using this service. It’s so awesome to finally achieve the goal that I wanted and I couldn’t have done it without your help. Thanks Again! 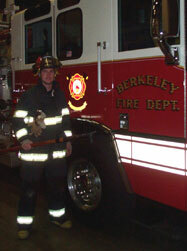 After years of school, working in the private ambulance world, and testing, I finally landed my dream job with my #1 choice in fire departments, Berkeley. 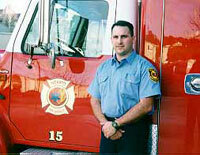 Throughout the process, firecareers.com was an invaluable resource for me. I was able to keep up on tests throughout California as well as do research on salaries, job requirements, and news in the fire service. I highly recommend firecareers.com to anyone looking to get into the fire service or who just wants to stay up to date with what’s going on in the fire industry. Without them, I’d still be looking for a job. City of Berkeley Fire Department. Transforming dreams into reality is just one of the many valuable opportunities PFC provides. 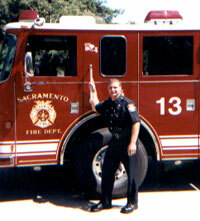 My dream came true, as I am now a Firefighter/Paramedic with the City of Sacramento (CA) Fire Department. After eight years of test taking trials and tribulations, my dream is reality. Through persistence, spurred by a bone-deep desire to be a firefighter, my wife and I are elated about our future. We feel a peace that can only come from achieving one's God given dream. The dreams of my wife are also coming true through our work together. When a dream comes true for one, often times there is a supporting cast of many. With the sincerest of gratitude, I would like to thank my wife, our family, and the Good Lord for such an opportunity. Additionally, my sincerest appreciation goes to the family oriented company of PFC for continually providing the most current testing information available. From their onset when postcards were sent via snail mail to updates sent via e-mail, their commitment to such a noble profession is commendable, inspiring others to give back to the fire service. Together, the Perfect Firefighter Candidate and Captain Bob comprise a winning team all serious candidates should employ. Years of unsuccessful testing have finally given way to achievement. A candidate may have not succeeded many times, yet it takes only one victory to erase past shortcomings. Thank you to all who have helped this believer have the opportunity to live his dream. The sun shines brightly once again. I just wanted to send a letter of thanks to you and your staff for your services. I feel that thru your e-mails and mailers, you were instrumental in helping me to the position I am today. Not only were the e-mails informative, but receiving them almost every day also helped me stay motivated to keep trying. For those of you who are thinking about or are currently trying to obtain a career in the fire service, DON"T GIVE UP! For some it takes longer than others, but have faith and trust yourself that it will happen. 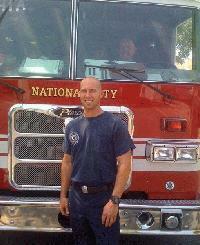 Again, thank you Perfect Firefighter Candidate for your service and for helping me live the dream. 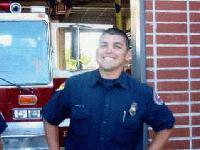 My name is Jacob Watson and I am a firefighter with the City of Anaheim Fire Department. I just wanted to thank Perfect Firefighter Candidate for helping me along the way. I definitely relied on PFC to help inform me on testing opportunities with various fire departments. 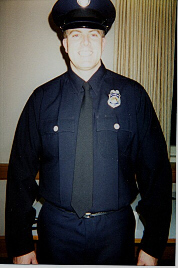 As of May 2002, my search for the perfect career ended when I began with The City of Anaheim. I want to encourage others with the same goal to be persistent and keep checking PFC for new positions in order to help find their dream career. I know I’ve found mine! First I want to say, Thank You, for all of your help. If it weren’t for your company I don’t think I would’ve known about the opening in the fire department where I was hired. Your company made it easier and faster to get information about open positions around the nation. With all of your up to date job listings it was a breeze. I cannot thank you enough, all of my hard work and training and of course Perfect Firefighter Candidate paid off. Sorry for the delay in my Testimonial, but like they say…better late then never right? Thanks for your understanding. I've won the lottery! With the amazing help of Perfect Firefighter, I've landed one of the most coveted jobs in America…professional Firefighter position with the City of San Francisco! Before I knew about this program, it was the continual word of mouth, phone calls and he said she said about who was hiring and when the tests were taking place. Perfect Firefighter made my search and testing process an absolute breeze! No more disappointing, oops you're a day late on getting that application in. I whole-heartedly recommend to my friends and others who are trying to get hired, to subscribe to Perfect Firefighter. The bring you that much closer to living your dream! I can't put into words how amazing the moment is when you finally get the badge pinned on your chest! Thank you so VERY much Perfect Firefighter for giving me the winning lottery ticker! 15 Truck San Francisco Fire Dept. This one should inspire all of you who keep hearing how long it will take to get into the fire department. I decided to become a firefighter just about a year ago. I went to school to become an EMT, and as soon as I started classes, I was told about Firecareers.com. Within my first month, I was testing in Oakland, and made it all the way to the Chief's oral. Unfortunately, they went on a hiring freeze, but after two more months I landed another Chief's interview in Raton, New Mexico. A month later, I was offered a job, and here I am, a full-time, paid firefighter. If I didn't have Firecareers.com as a resource, I'm not sure how I would have found out about all these opportunities. With all the effort of applications, tests, and training it was a relief to know I could just check my email to find out about upcoming openings. I can't imagine trying to do all this on my own. For my money and time, there is just nothing better. 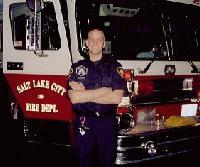 I recently graduated from the 13 week Recruit School with the Salt Lake City Fire Department. This department is a highly prestigious department. It took a great deal of personal sacrifice and effort to get in. 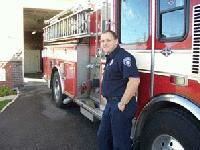 I am now working in downtown Salt Lake City in the high rise district of Station 1. I owe a great deal of help to the PFC web site for notifying me of testing dates for any fire department I was interested in. Information is definitely key to getting hired. I knew of and tested with four other different departments before getting hired here. Thank you for your invaluable service. I have been waiting a long time to finally submit my Testimonial. I have wanted to do this for a couple of years, and now I can finally say that I did. This has been a very valuable service to me. I have consistently stayed one step ahead of all the other candidates in knowing who is testing and when. I would recommend it to anyone who wants to be ahead in the game. As we all know testing for a fire job is very competitive, and this service definitely gave me an edge. 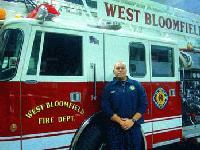 I am proud to say that I am now a Full Time Firefighter Paramedic for the West Bloomfield Fire Department here in Michigan. This was a dream come true after going to countless tests and interviews. The service you provide for us is second to none. And for all those who are still testing. Never give up. Apply as many places as you can. You will get your badge one day, and it is the best feeling in the world. I am writing to thank you, for the service you have provided these past few years, while I have been pursuing a career in the fire service. The information Fire Careers provided enabled me to keep up to date on current career opportunities. Being involved in school, the fire academy, and paramedic program, and working made it very hard to research which departments were hiring. With the help of your service, I was able to go on to the Internet and find out new career opportunities within minutes. I was recently, hired by the Rancho Cucamonga Fire Protection District in California, and love every second that I spend at the station. It was a hard road to get there, however, it is very rewarding and worth every step taken. I encourage every person seeking a career in the fire service to keep working towards your goal and never give up, no matter what comes your way. You will not regret it. Thank you again, Fire Careers! I just got hired full-time as a firefighter/paramedic with a brand-new department. While I didn’t get the information on this job through your service, I have been using the service for years, and did get a part-time fire job with Wilton FD that I heard about from you. The experience from Wilton no doubt had a tremendous impact on my obtaining the current job. I am also on the list for several other departments that I learned about from you as well. Thanks for a great service and for helping make a long-time dream come true. To all the people at Fire Careers, I am currently on my first year as a Fire Captain and 3 years total with the Department of Corrections Fire Department. I am loving every minute of it and I still have my membership with Fire Careers. I am always looking for more opportunities and your service keeps me enlightened on all the opportunities out there. So I recommend you and your service to any one and every one who is pursuing a Fire Fighting career! 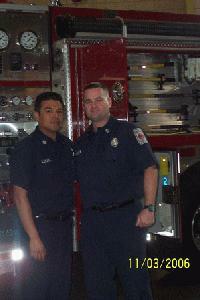 Just wanted to thank you for your instrumental part in helping me obtain my career in the fire service. Without your daily mailers it wouldn’t have been possible for me to hone my skills in the ever challenging testing process. I have finally found a home, and what an outstanding one at that. Thanks again! I just wanted to take the time and let those who are thinking about subscribing to your service know how “Perfect Firefighter Candidate” played a pivotal role in starting my career. Before I knew about “PFC” I had only heard about tests in my area through word-of-mouth. After subscribing, I never missed a test again. And after four years of hard work, volunteering, and relentless testing all over the state of California, I secured a position with the East Contra Costa Fire Protection District, as a Firefighter/EMT. My dream of becoming a firefighter has come true. So when people ask me for advice, I tell them to keep pursuing their dream by doing whatever it takes. The first thing I usually tell them is to check out “Perfect Firefighter Candidate” and sign up. It has been a great tool in my success. I can’t say enough about the service that you provide to prospective firefighters and those aspiring to advance in the fire service. 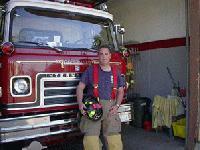 I was a member of Firecareers for about 6 years as I pursued a career as a firefighter. From the updates of departments testing to the bulletin board I used every bit of information I could to help in my pursuit. I have talked to many people aspiring to become firefighters and given them this website to go to. I can’t Thank You enough I am now a firefighter with the City of Tacoma Fire Department in Washington. It is great to finally fulfill my dream. I must thank you for your service. I finally was able to make a step up. I was previously working for a small fire department in North Idaho that was not meeting my needs for opportunities in advancement and organization. I wanted something bigger. After two years of testing I was finally able to get hired with Snohomish County Fire District 7 in Washington state. By using your service I was able to see daily the departments that were testing and I could evaluate the department with the information your service provided and see if that department meet my needs. Thanks again and keep up the great work. I just wanted to thank you for your part in helping me obtain a career in the fire service. Without your daily mailers and updates on hiring info it wouldn’t have been possible for me to hone my skills in the completive testing process. It might be too soon to say but as of right now my dreams are coming true and all my hard work paid off. To all of you out there, still looking keep it up, it gets easier. I am writing to say thanks for your service. The information you provided helped me become a serious competitor in this job market. Thanks to you, I was able to aggressively pursue job opportunities, continuously improving my testing and interview skills. 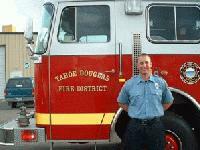 After years of schooling, volunteering and training, preparation met opportunity with the Tahoe Douglas Fire Protection District. I am proud to be “living the dream” in such an outstanding department with a bright future ahead. Thanks again for providing motivated candidates with testing opportunities. In this job market, advantages are taken, not handed out. I encourage any prospective candidate to get on the fast track and sign up with “Perfect Firefighter Candidate”. I would just like to submit my gratitude for your wonderful service. 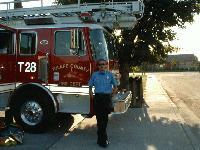 I am testing with L.A. County Fire right now and I just got accepted with De Luz Volunteer Fire Dept. I have never come across a more informative service than that of what you provide all aspiring Fireman and Firewomen. If I may I would also like to send out a quick thanks to the fireman at Station 7 in Sun City, Ca., Engineer Dave Bell and Brush Engine 12 from the Paradise Fire for all the wonderful training I received. I would not be submitting this testimonial without you guys. Again thank you Perfect Firefighter Candidate. I have been a subscriber to your service for five years and have applied for countless positions as both a firefighter and fire prevention officer. The timely manner in which your service has posted positions has proven to be extremely valuable. 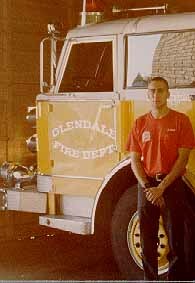 In the first couple of years into my membership, I applied and was picked up for two reserve firefighter positions in Orange County CA; subsequently, I gained valuable experience, which guided my career path. The pursuit to become a firefighter is an extremely competitive field; after a couple of knee surgeries, I realized the pursuit for my passion to respond in "Big Red" was unrealistic. I put my Plan "B" on the front burner, began taking Prevention Officer classes and anxiously waited for Fire Prevention positions. As you know, the market for prevention positions are scarcer than firefighter; I interviewed as far north as Redding and Chula Vista to the south. I had two years prevention intern experience with two other departments in Orange County and in December of 2004, the market flooded with positions. It was finally my turn to get the Chief's Oral Interview! What happened next only happened to the other lucky guy; I was offered positions with two different departments. A dilemma I never imagined I'd have to decide! In February I got "the call" from West Covina Fire Department, the voice on the other end paused, then said, "Are you still interested in the position?" I wasn't sure what the correct amount of enthusiasm was for being offered the career you've been working toward for six years; in shock, I managed to get out, "Yes, sir." One of the standard questions in every oral panel was, "What are your career goals?" My rehearsed reply was, "to have a career with a fire department that both encourages and provides a continued opportunity to learn the various areas of fire prevention and investigation." I work 4 – 10's, off Friday, Saturday, and Sunday, the Fire Marshal/Arson Captain, my immediate supervisor, has come up through the ranks and is on his way to Fire Chief's chair. He is knowledgeable in all areas, easy going, willing to guide me, sends me to classes and allows me to respond to suspicious fires. After being a willing intern, without pay, for two years to gain experience, I thank God every morning on my drive in, that I am one of the chosen few who is fortunate to have a career doing what I love. Thank you, Perfect Firefighter Candidate, for being instrumental in achieving my dream. I don't get to ride the engine, however, the fire department, in appreciation for their successful apprehension of vandals to a HUMMER dealership, received a H-2 that I drive. I had been using your service for the past 3 years. There is no other way of finding out all the departments that are testing without your service. I want to encourage other candidates to continue on and with hard work you will succeed. Thanks to the Perfect Firefighter Candidate site (a.k.a. www.firecareers.com), I had my very first oral interview… While it was with a volunteer department, within a week, they called me, and offered me a position. I gladly accepted it, as I have only gone through EMT training, and have only nine units of Fire Technology through college. This gives me the opportunity to get my Firefighter 1 certification, without having to spend thousands on a college program, but most of all… it gives me the hands-on experience, which in my opinion is far superior to classroom training! Thanks again PFC! Thanks for providing such a terrific and necessary service for aspiring firefighter. With your help I was able to take many tests and was hires with a really good department in L.A. County. I am proud to be a Firefighter/Paramedic with Arcadia Fire Department and could not have done it without your service and help. I have truly achieved the best job in the world and I owe a lot to your up to date job opportunities. 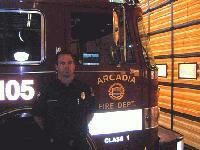 My name is Jon Lauderdale and in August of 2005 I was hired as a probationary firefighter for the City of Arcadia. I want to motivate everyone to keep on testing and to keep their heads up. I know what it’s like to ride the roller coaster of emotions. The solution is to check Perfect Fire Candidate everyday and take as many tests as possible. You will learn something new every test and interview you have that will make you that much more prepared for the next one! Remember to take advantage of PFC’s chat rooms and bulletin boards too. You will find invaluable information there from the firefighters doing the actual hiring. This is the best job in the world. I wish you the best in your journey to achieve it! I want to thank the PFC Staff for providing such a great service and helping me reach my goal as firefighter. I wanted to thank you for helping me achieve my dream with your service and timely information I received through your company during my testing process. 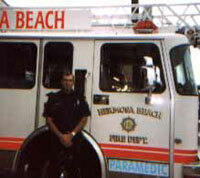 My dream became a reality in May 2005 I was selected for a lateral Firefighter/Paramedic position with the City of Walla Walla Fire Department. If I had not subscribed to PFC, I would not have heard about it, and wouldn’t have had the opportunity to apply. I have subscribed to PFC for a couple of years, and was surprised at the amount of departments testing that I would not have heard of otherwise. Your service has proved to be very valuable, and I always recommend it to people asking how to start their career. And to all the PFC users just remember dreams can come true so don’t give up trying to reach for your goals. I would like to thank you for the services you offered to men & women looking to start a career in the fire service. 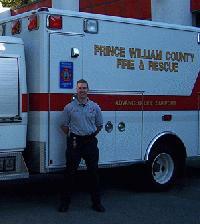 A friend told me about your service and within a year of subscribing, I was offered a position with Prince William County Department of Fire & Rescue in Northern VA. I am having the time of my life and am proud to be serving my community. I have refered your services to friends of mine and some of them were also about to find a job through you. If it wasn’t for you I wouldn’t have known about this job. This letter of thanks is for the service to which you have provided me for the last six years in my pursuit of a fire service career. I am now happy to say that I have been hired by CDF/Riverside County Fire Department as a Firefighter/Paramedic .The information that you provide is always accurate, and helpful. Because of this, I have been able to test for many Fire Departments and be well informed. Please accept my thanks for the essential part you played in my obtaining employment. Please continue the good work as you will undoubtedly help many others to obtain the employment they greatly desire. I’m writing this testimonial to express my gratitude for the amazing service you provided in my pursuit to achieve my dream. Through my pursuit for a career position the last thing I needed was to spend hours a day searching for fire departments that were testing/ hiring. I needed that time to spend preparing for tests, going to school and studying for classes, volunteering, etc. Your dedicated service gave me that time I needed to become a firefighter. 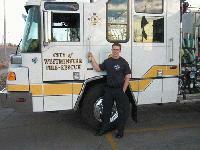 I am now working for Westminster Fire Department in Westminster, CO. It has become a dream come true and I owe so much to PFC and the service you have offered to me and so many others that are still in the process and those that have made it to the promise land. Thank you again for everything you all do. About 2 and 1/2 years ago I subscribed to your service. I lived in N.E. Ohio where Full-time fire jobs were hard to get.I am originally from central TX. I saw a posting for Harker Heights TX( 20 miles from where I grew up) I applied for the position. I applied for several other FDs in TX. 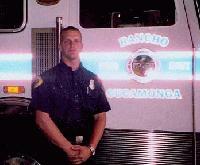 I was hired as a FF/Paramedic in September of 04 by HHFD. I have been there every since . I finally have the job I have always wanted . I know it’s kinda late now but I would really like to send in a testimonial. It would really mean a lot to me to share with others what your site did for me. I would like to thank Fire Careers for the service that they provided me while I was searching for a job in the fire service. 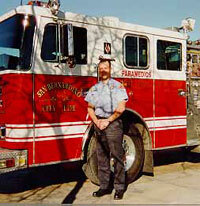 I was first introduced to Fire Careers by my Fire Science instructor at Spokane community college. She would always tell us the only way to get a job is to test. I found the best way to find the tests was through fire careers. 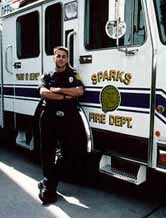 I recently got hired as a Firefighter EMT in the beautiful city of Coeur d’Alene Idaho just 30 minutes from my home town of Spokane Washington. 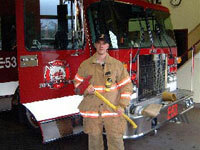 I would recommend fire careers to any one searching for a job in the fire service. It is definitely a great investment. Thanks again! When I first was out of the academy and started looking for a job I found out if a city was testing by calling each one to see when they were planning on hiring. This usually took a couple of phone calls to get to the person who knew this information. As you can imagine this was very time consuming and half the places I called weren’t testing at that time or I had just missed the deadline to apply. A volunteer I worked with told me about this web site. The Perfect Firefighter Candidate made things so much easier and less time consuming. I recommend this site to any prospective firefighter. Surprisingly the Firefighting profession is a largely sought after career and is very competitive. A firefighter candidate must not limit themselves to applying to one or two departments and hoping for success. Unless you’re lucky you will test at several places before making the cut. I was out of the academy for five months and tested in thirteen places during that time. I’ve been working for the Victoria Fire Department for over a year now. All the places I tested at I found out about through The Perfect Firefighter. It was well worth the small price and I would highly recommend it to any firefighter looking for employment. I cannot say enough about the service you provide. I have been a career firefighter for 17 years now, none of it would of been possible if it were not for Perfect Firefighter Candidate. I recall receiving the yellow cards in the mail years ago announcing firefighting positions throughout the western United States. Technology took over and a simple e-mail made things so much easier. Anyhow, I continue to use your service today as I look for different avenues within the American Fire Service. Thank you Perfect Firefighter and here’s to another 25. I first would like to give the PFC a special thanks for helping me fulfill my dream in becoming a firefighter for the City of Santa Monica. This website truly works! (Firecareers.com) It provides you with the most current and up-to-date information on firefighter openings. I tested for 5 years taking 40 exams in and out of State. So my advice to everyone out there is to first believe in yourself, stick to it and never give up! 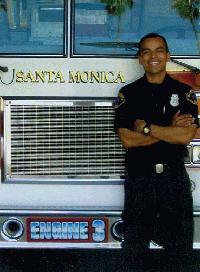 Julian Zermeno Firefighter Santa Monica Fire Dept. Thank you for your invaluable service. After two years of testing at numerous fire departments, I was recently hired as a Career Full-time Firefighter/Paramedic for the City of Royal Oak, MI. Located one mile north of Detroit. Its a busy fire department and I have you to thank because you notified me that they were testing. I am now living the dream and for everyone else still testing. Stay the course and one day you’ll be writing in to thank PFC. I would like to take this opportunity to thank you for the hard work and dedication that you put into your firecareers website. I have been testing for the past six years and without your website it would have been almost impossible. It is an invaluable tool for anyone trying to get their foot in the door. Keep up the good work. City of Coalinga Fire Dept. 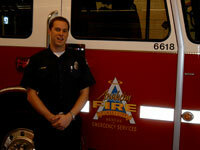 The service that Firecareers provides to its members is a valuable tool. Job alerts, education and training make a worthy investment. I would like to thank you guys for the 2nd time in assisting my career objectives. I thought I’d write you another testimonial from my new job here at Pioneer Fire Protection District that I started on July 16th. Again, thank you for your support. PFC is hands down the best service to subscribe to if you are seeking employment in the fire service. They provide the exact information you need to be successful in finding that job you have always dreamed of. Most fire departments only test every 2 years and believe me, you don't want to miss your opportunity to be a part of the best job in the world. PFC has directly helped me in getting through the hiring process and I recommend PFC without reservation. Thank you for all your help. I have been testing for over 5 yrs.. I traveled all over, thanks to your assistance. Now a member of the Fairfax County Fire and Rescue Dept. Thank you for your services and assistance. I would like to take a minute to let everyone know that the service you provide is excellent. I don’t think that individuals would be aware of a fraction of the openings with out your service. Either they would miss the opportunities or hear about them too late. I previously worked in Northern California but found out about a promotional opportunity several hours to the south. I took the promotional exam and was successful. With out your service I believe I would not have heard about this test. A couple dollars a month is very affordable and a great price for the coast to coast service you provide. Good luck to all you out there!! I would like to take this opportunity to thank Firecareers.com for providing this service. 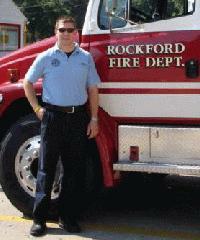 It helped me keep on top of current tests and find the perfect Fire Department to serve my career. It is a must have for all those looking to find a career in the fire service. Thanks again! 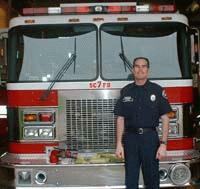 Dear Fire Careers, I have been with my fire department for five years now and have enjoyed every minute of it. In five years I passed probation, completed paramedic school, and just finished #1 on the Engineer’s promotional exam. I have experienced some amazing events on the job. I’ve battled structure fires, attacked wildland fires on strike teams, extricated patients entrapped in vehicles, and delivered life saving medicine to gravely ill patients. Every day is truly an adventure in this line of work. Our department has just hired six new Recruits and I find myself as a mentor to one. Looking back, I remember all the hard work I put into attaining this amazing career. One of the first steps in that process was to open my Perfect Firefighter Candidate account. Perfect Firefighter allowed me the opportunity to test with different departments and finally get hired. I thank Perfect Firefighter for helping me to attain this career. Five years have past, and it keeps getting better. This the most amazing career in the world! Dear Perfect Firefighter Candidate, I want to thank you for your service that you provided to me as well as other candidates. Applying for the position of firefighter with any department is one of the toughest roads any person will travel. Your service made this process much easier as it cut out the possibility of anyone wasting their time. Your information in terms of filing deadlines, qualifications, and fire department websites was always clear, concise, and accurate. Your service is well worth the small monthly fee, and I highly recommend that anyone wanting to become a firefighter takes advantage of this wonderful and invaluable service. It would be a diservice to yourself if you do not sign up. I lost count of how many tests/interviews I have taken, but I am happy to say that I was offered my dream job with the Los Angeles City Fire Department in August 2007. I love my job and what I do, and your service definitely helped me find my way. Thank you again for paving that road. I want to start out by saying thank you for the excellent service you provided to me and too many aspiring professional firefighters. Without it, I would not have had as many opportunities as I did. I now work for the second busiest airport in Michigan. Becoming a professional firefighter has been a dream come true! I have been and will continue to recommend your service to any aspiring career firefighters. Thank you for your time and effort. It is greatly appreciated! Keep up the excellent work!! !